Oh New York… the one place I want to visit over and over again. Myself and Darren had a major itch to get back to New York and so decided to cancel our trip to Las Vegas and go to New York instead. It was a done deal when we managed to bag 2 flights for €640… return… for us both! Interested? Keep reading! 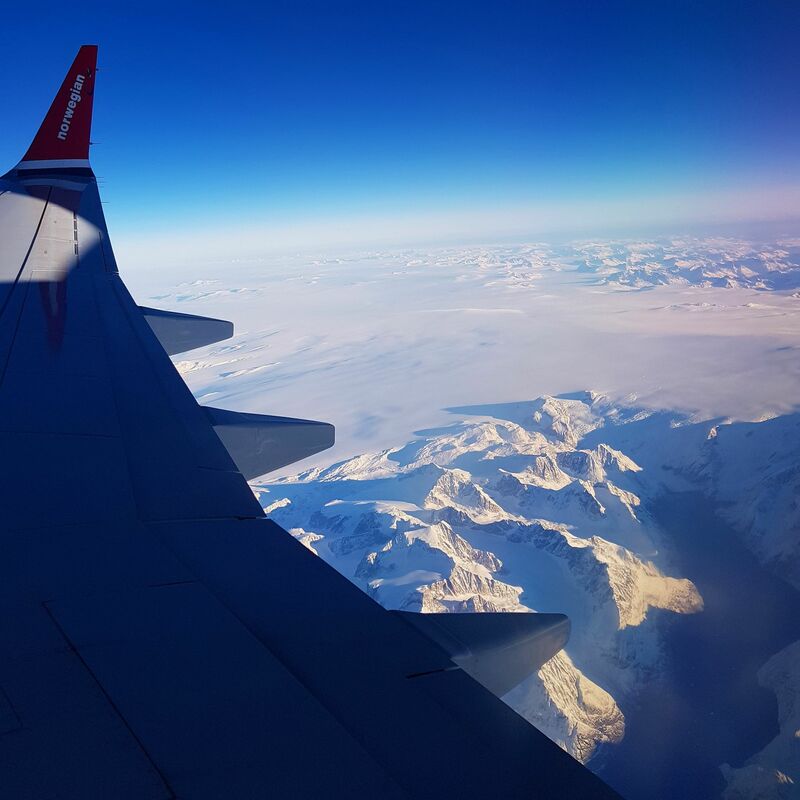 Norwegian Airlines … Europe’s third biggest airline! Our flights with them cost just €640 in total. That price includes a cancellation insurance for €11 each and one 20kg bag. The flight duration differs depending on whether or not the winds are in your favour. Our flight from Dublin to New York took 7 hours and 20 minutes. It took only 5 hours on the way home… the tail winds bet us across the Atlantic! Oh… I can’t believe I nearly forgot to tell you. If you’re flying during the day, you will have the most INCREDIBLE birds-eye view of Greenland! The pilot announced it to us but just incase yours doesn’t, leave your blind up. Mountains, glaciers, frozen lakes and miles and miles of the purest snow you’ll ever see! This was such a nice surprise (I’ve ruined it for you now haven’t I?). There is no catch really. The flights are that cheap! Norwegian Airlines is a budget airline. It operates the same no frills, you pay for what you get, business model as Ryanair. We went with the Low Fare Option (details below). You’ve the option to fly from Dublin or Shannon and there are 3 different flight options: Low Fare, Low Fare Plus and Flex. Each one is more expensive than the last and offers you more benefits. Baggage: There is no check-in bag included in the price, although you can still bring cabin baggage free of charge. Food: The price does not include any in-flight food or refreshments. So eat before you get on the plane and stock up on snacks and water. Who likes plane food anyway (*gags*)? Seating: It’s €35 per person at the time of booking, if you want to choose a seat beside the person you’re travelling with. However, as I understand it, once you all check in together you will be seated beside each other (we were!). This option includes baggage, food and a seat reservation. If you need to check in a bag and want food, it works out cheaper to buy Low Fare Plus, than adding food and baggage separately. However, myself and my husband needed just one bag between the 2 of us, and did not want food, so it was cheaper just to pay for one bag (€70 return for 20kg). The Flex flight option includes one 20kg bag, food and a seat reservation. 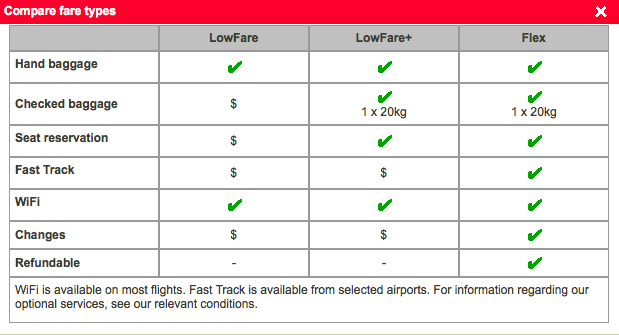 In addition, you can change or cancel your flights free of charge and security Fast Track is included. It took around 1 hour and 20 minutes from Stewart to Port Authority on 42nd Street in Manhattan (near Times Square). This is also where you get the bus to return to Stewart. View the bus schedule to and from Stewart here. It is possible to book your bus tickets in advance here but there is no need because you can pay on the bus. Important: There are 2 types of buses. One is Express and it goes straight to Manhattan. The other bus stops at Woodbury Common Outlets which adds about 20 minutes to the journey. Both buses are the same price so get the Express if you can. Some people actually fly from Ireland and head straight to Woodbury Commons with a suitcase… then go back home to Ireland that night… madness! Would I Recommend Norwegian Airlines? In-flight entertainment… or bring my own (Kindle and Netflix Downloads). Gross plane food or… bring my own pre-packed food (Party Packs – see below). Saving 35 minutes on the airport journey… that actually works out cheaper. What would you say? Absolutely not, Norwegian Airlines wins this war! I can’t see myself ever paying to go to New York with another airline unless they can rival those prices! Bring your own food on-board! I like to call them PARTY PACKS! This tip is obviously for all flights not just Norwegian Airlines. Our party pack included: chicken and stuffing sandwiches, crisps and chocolate (it was declared by us and approved by Homeland Security). You’re not allowed to bring meat, vegetables, fruits, seeds and nuts on the plane. Thanks Carly!!! Great to hear, I was really sceptical of them cos they were so cheap!! !but this is good to know, although I have already booked my flight to NY with Aer Lingus!!!! It was only €395 though!!! Thanks Carly. Very reassured now for trip for new year. I’m flying out on the 29th of December and it can’t come quick enough. Going 1st dec with Norwegian and got the flights for 270 each which included a check in bag each… can’t wait to see how you got on! Enjoy! Wow! Those flights are so cheap. I’ve heard a lot about Norwegian Airlines before and I love that they offer cheap flights. I am a student and I hope to use them in the future.